The Ultimate Fighting Championship makes its first visit to Rochester, NY on May 19 (AEDT). MMA event billed as UFC Fight Night 151 takes place at Blue Cross Arena. 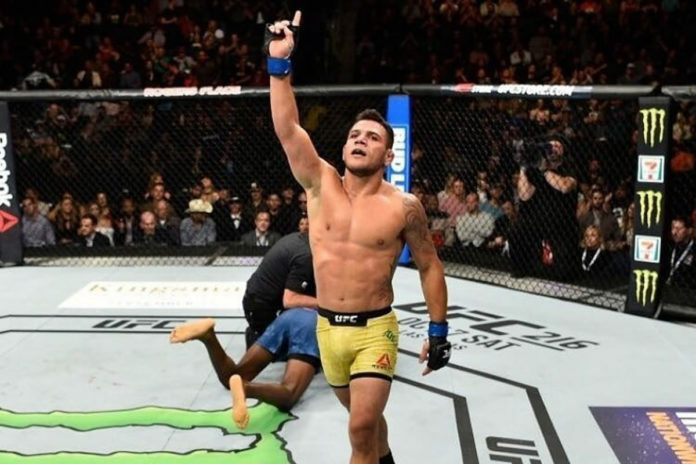 On Thursday the promotion announced the headline-bout of the upcoming show featuring a welterweight battle between Rafael dos Anjos and Kevin Lee. Rafael dos Anjos (28-11) is former UFC Lightweight champion. In his previous bout in November 2018 he lost by a unanimous decision against a newly crowned UFC Welterweight champion Kamaru Usman. Before that he was similarly defeated by Colby Covington, who took the interim welterweight strap. Nevertheless, the resume of dos Anjos includes the victories against Anthony Pettis, Robbie Lawler, Donald Cerrone, among others. Kevin Lee (17-4) is former UFC Lightweight interim title challenger. In his previous bout he suffered defeat by a unanimous decision against Al Iaquinta. Before that he took the fifth-round TKO win against Edson Barboza. The 2017 interim title fight against victorious Tony Ferguson snapped his five-fight win streak. Other matchups for UFC Rochester are expected to be announced in the coming weeks. The current lineup can be found below.